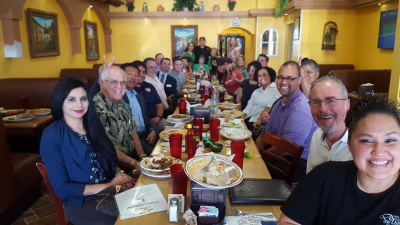 The Greater Coachella Valley Chamber of Commerce is proud to present our Lunch Bunch Series, held at Schnitzelhaus. This fun networking opportunity mixes two member favorites; business connections and great food! The Lunch Bunch Series allows members to experience new culinary delights from across the valley while networking with 30-50 fellow chamber members during their lunch hour. Each attendee is encouraged to bring their business card and 30 second elevator pitch with them. Schnitzelhaus is located at 77932 Country Club Drive, Suite #2-4, Palm Desert. The event begins at 11:30 AM and will last for approximately one and a half hours. There is no charge to attend, but members are responsible for the purchase of their own lunch. For additional information contact the Chamber at 760.347.0676.